I partnered up with Jisbar after seeing his work on display in a gallery my work is also in. I love his style and unique take on pop culture icons. We are starting with one piece together and we'll see what happens from here. Jisbar is an artist born in 1989 working in Paris. 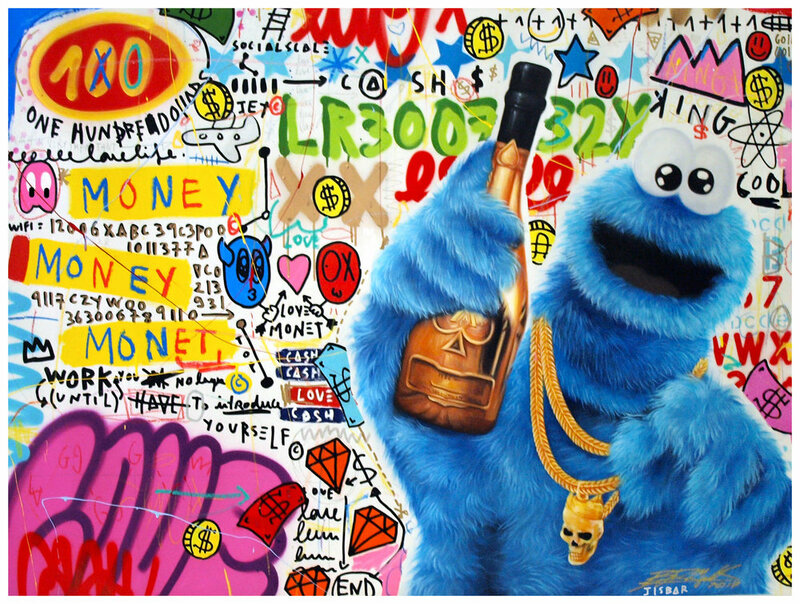 For 10 years, his art has ironicly shifted the references of pop culture. His creations reactualize our society soaked by the media and references "geek" that he reinterprets with the keys of his universe. Fashion, music, the freestyle spirit of the skateboard world and the different means of expression that inhabit the streets are all elements that shape his style. Jisbar likes to say that each of his works represents "moments of life", like a memory that is immortalized in a photo album. This nostalgia for a past epoch and the angelicism of childhood, he freezes in his paintings where the power of the fundamental colors plays a preponderant role. This sincerity pushes the viewer to focus on every detail to understand the meaning. Jisbar is an artist who paints in urgency and applies to externalize this creative spontaneity. this allows him to compose the anecdotes that animate his daily life and the way he looks at our society while keeping his authenticity.